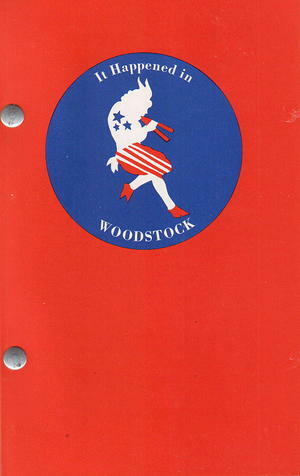 Popularized and updated version of Anita M. Smith's classic, Woodstock: History and Hearsay. Completely executed in reverse lithography, with cobalt blue ink. Tells the story of Woodstock, New York from the time of the Amerindian up through the 1969 Woodstock Festival, drawing on history, legend, and the actual words of local artists. Contains over 70 illustrations, including halftones, a map, and original work by such well-known artists as George Bellows, John F. Carlson, Konrad Cramer, Lucille Blanch and Henry Mattson.